Whenever Call of Duty games are released in Japan, they always seem to get in-game violence edited or censored somehow. 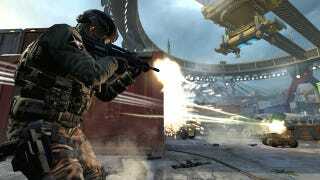 Call of Duty: Black Ops II is no exception. Today, Square Enix explained the edits: "The heads and limbs of soldiers under attack by heavy weapons on the battlefield are amended." So probably toned down violence—you won't be able to blow off body parts, I guess. Square Enix pointed out that the action will be the same and that this alteration doesn't apply to the zombies in zombie mode. So shoot their heads off all you want.